This solid heavy white gold Celtic cross is one of our most popular pendants. Available in either 10k or 14k white gold. 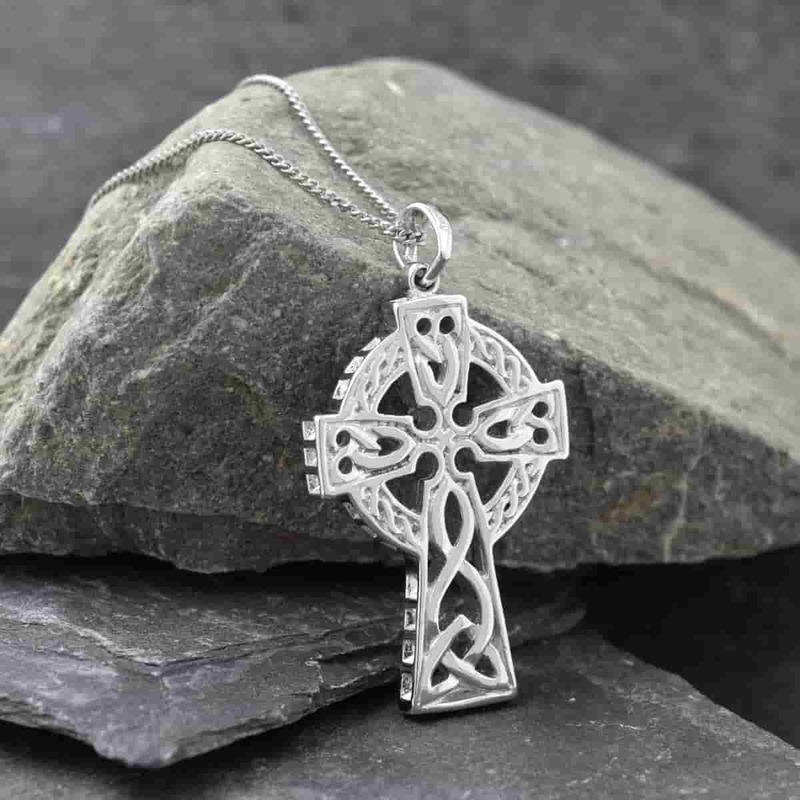 At over 3mm thick, this beautiful Celtic cross has a substantial weight and really is an heirloom piece.Handcrafted in Dublin from the purest white gold and hallmarked at the Irish Assay Office in Dublin Castle. Measuring 23mm wide by 33mm high and 3.2mm thick the cross weighs 9.3 grams (without the chain).